Wire rope is made up of all independent parts – wires, strands and cores – that continuously interact with each other during service. Wire rope engineers design those parts in differing steel grades, finishes and a variety of constructions to attain the best balance of strength, abrasion resistance, crush resistance, bending fatigue resistance and corrosion resistance for each application. 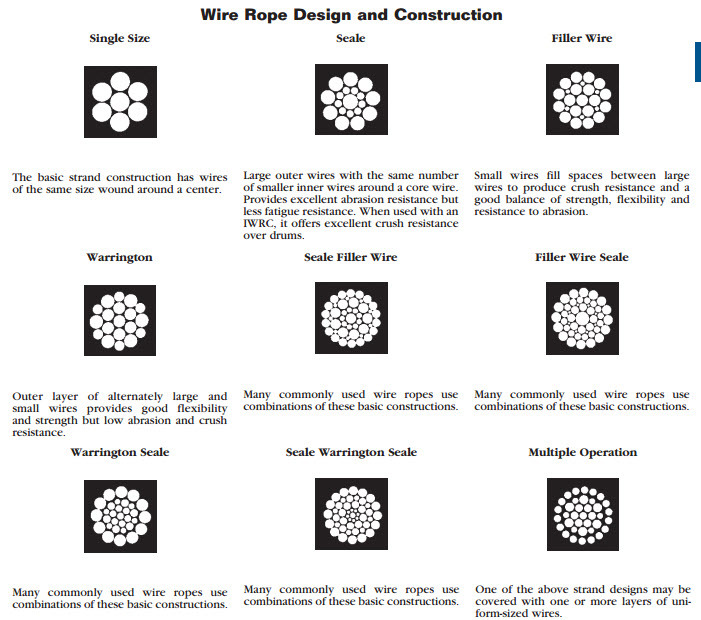 To select the best wire rope for each application, one must know the required performance characteristics for the job and enough about wire rope design to select the optimum combination of wire rope properties. The following information is presented as a basic guide. Bridon American engineers and field service specialists are available to provide more specific recommendations. Wire rope strands are designed with various combinations of wires and wire sizes to produce the desired resistance to fatigue and abrasion. Generally, a small number of large wires will be more abrasion resistant and less fatigue resistant than a large number of small wires. Finish Bright finish is suitable for most applications. Galvanized finish is available for corrosive environments. Plastic jacketing and encapsulation is also available on some constructions. Wire Grades The most common steel wire grades are: IPS (Improved Plow Steel), EIP (Extra Improved Plow Steel) and EEIP (Extra Extra Improved Plow Steel). Stainless Steels and other special grades are provided for special applications. 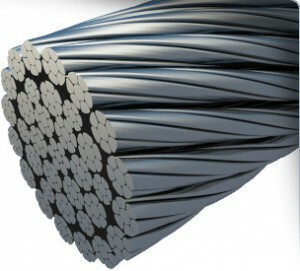 Most wire ropes are made with round wires. Both triangular and shaped wires are also used for special constructions. Generally, the higher the strength of the wire, the lower its ductility will be.